The organic crocus Sativus bulbs that we sell in our webshop are being cultivated completely organically, without the use of any chemical plant protection products or chemical fertilizers. The cultivation of these organic bulbs as well as the sorting and packaging process is being controlled by Skal Biocontrole. 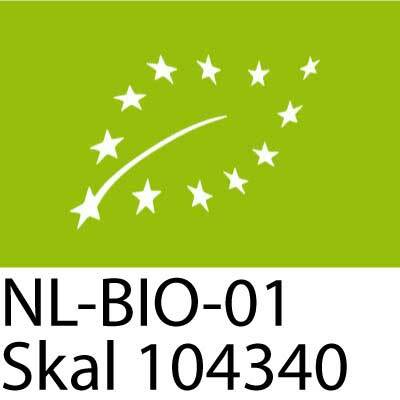 Skal Biocontrole is designated by the Dutch Ministry of Economic Affairs as the Control Authority responsible for the inspection and certification of organic companies in the Netherlands. The inspection and certification of Skal Biocontrol is performed in accordance with the European Regulations: (EC) Nr. 834/2007, (EC) Nr. 889/2008 and (EC) Nr. 1235/2008. Our organic saffron bulbs will come with an European organic certificate which can also be downloaded from our website. Click here to view our organic certificate.